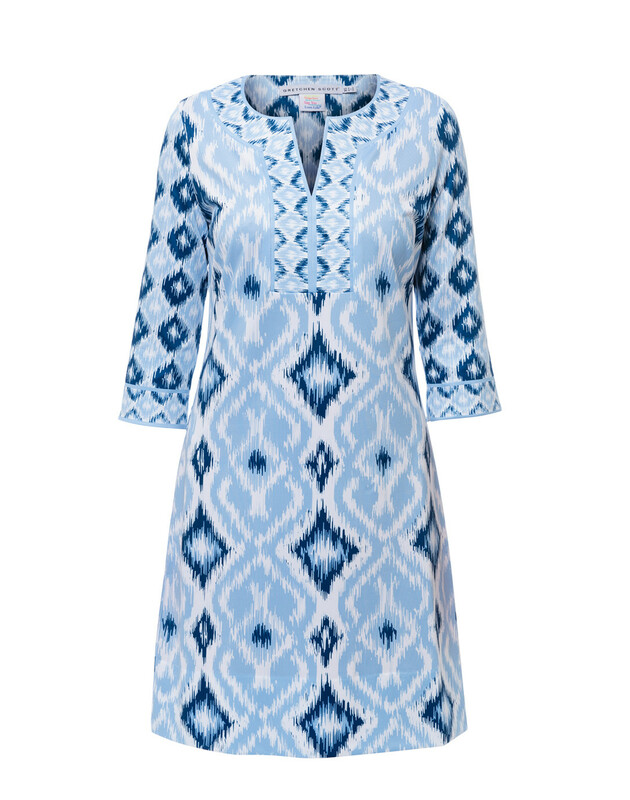 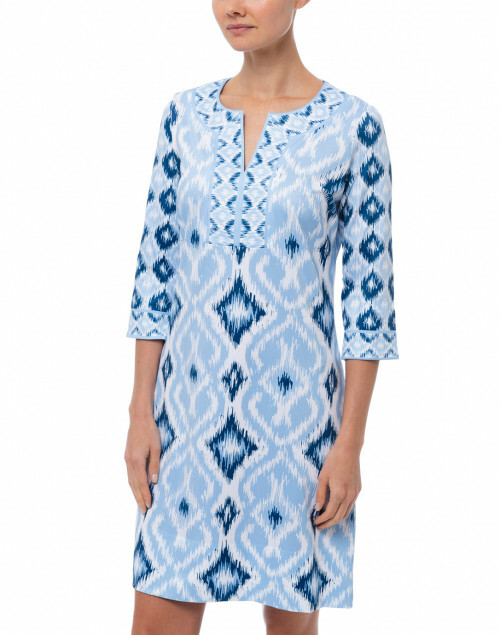 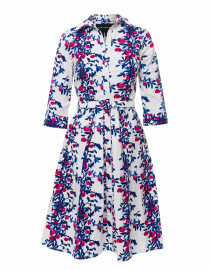 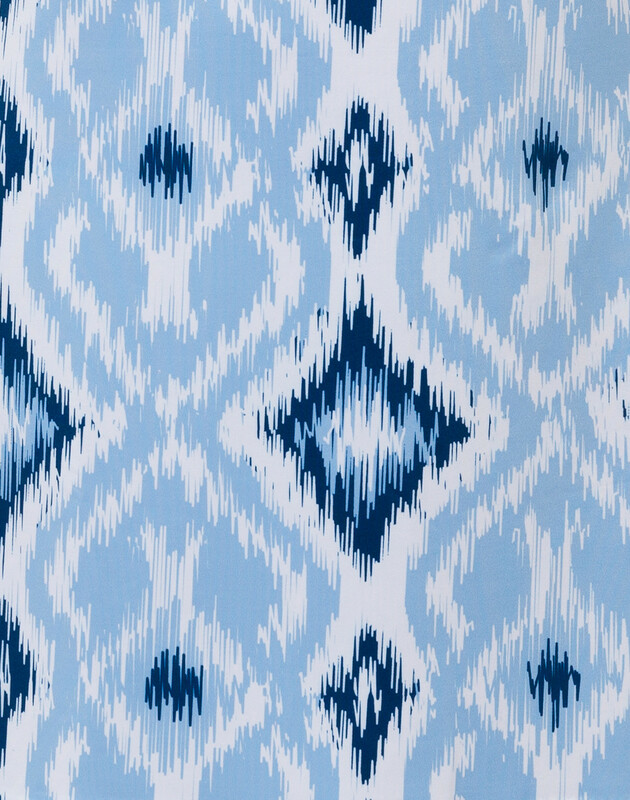 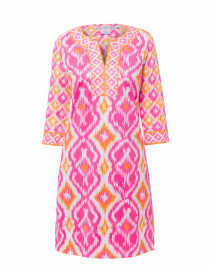 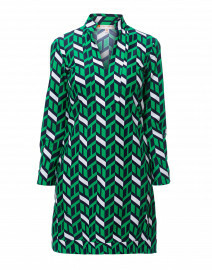 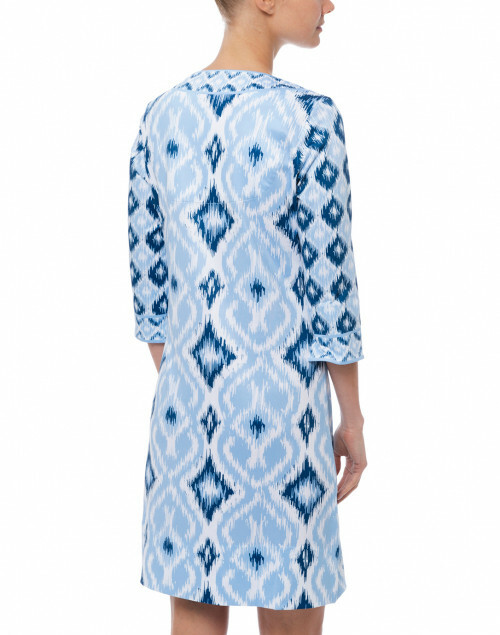 Gretchen Scott's blue ikat printed dress is ideal for carefree vacation looks. 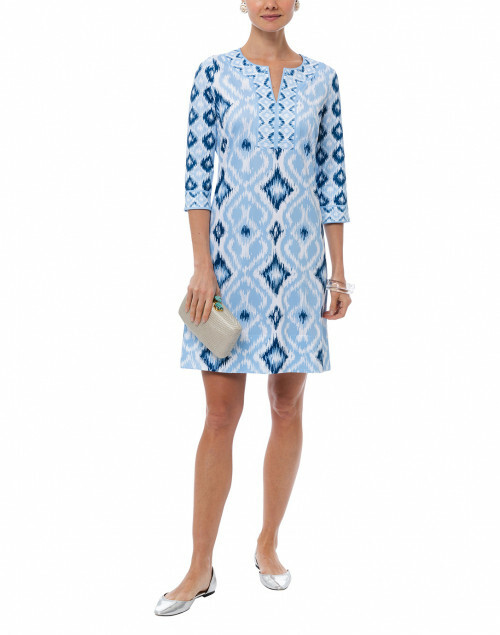 It is crafted from stretch fabric and shaped with a split neckline and three-quarter sleeves. 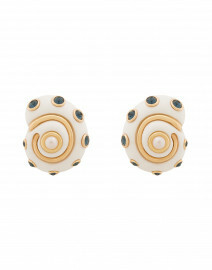 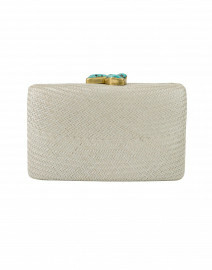 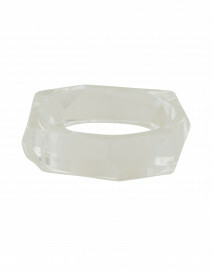 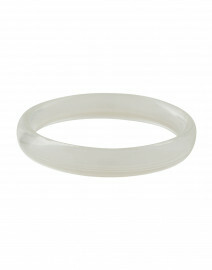 Style it with a neutral clutch and silver flats for a laid-back dinner date look. 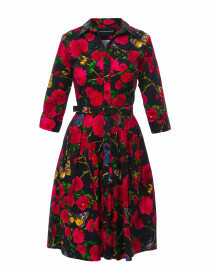 Length 35" 35" 36" 36.5" 37"
Shoulder Width 14.5" 15.25" 16" 16" 16.5"
Bust 34" 36.5" 38" 40" 42"
Waist 32" 34" 35" 38" 40"
Hip 37" 38" 41" 43" 44"
Sleeve Length 17" 17" 17" 17" 17.5"